We became big “Nashville hot” fans while Janette was shooting at Hattie B’s in Nashville for Food Network. 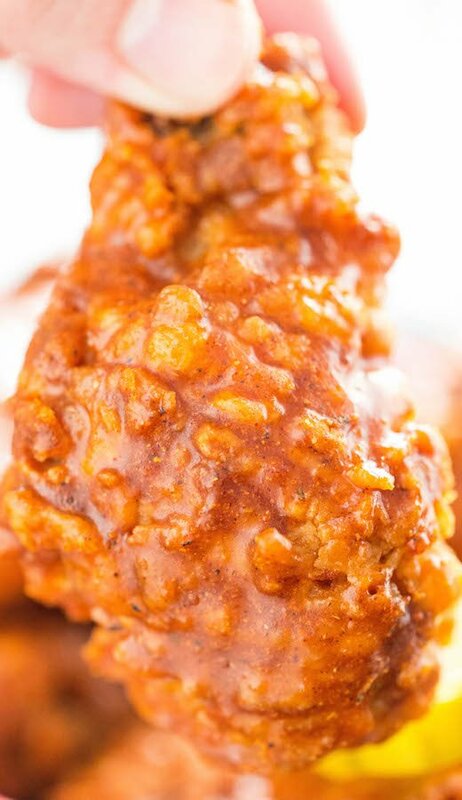 I mean, delicious fried chicken brushed with the perfect spicy glaze…what’s not to love?? Last fall we put a twist on it and made Nashville Hot Softshell Crab. We were in love and decided all things should become Nashville Hot. With the Superbowl coming up, I decided to put it into a bite-size snack suitable for a game day crowd. Be sure to pair with pickles, white bread, plenty of beer, and lots of paper towels. ?? Preheat the oil in your deep fryer or a cast iron skillet to 360°. In a medium bowl, whisk the milk, eggs, and hot sauce until combined. In another medium bowl, whisk together the flour and 2 tsp salt. Pat chicken wings dry. Dredge each wing in the milk/egg mixture, then in the flour, then back in the egg mixture and again in the flour. Make sure to shake the excess off after each step. Fry the wings in batches. Fry them until crispy and golden brown, about 10 minutes. Remove from fryer and place on a baking rack. To make the hot coating, melt the butter or Crisco in a heatproof bowl. Add the cayenne pepper, brown sugar, salt, black pepper, paprika, and garlic powder. Whisk together until well combined. Baste the hot mixture over each side of the wings. Garnish with pickles and white bread. Serve immediately. Man, oh man these wings look fabulous! I will have to make your recipe for me and a non-hot version for my husband. I actually drooled when I read about the pickles and white bread! I’ll take fried chicken any way I can get it. Sounds especially good! I love spicy Chicken dishes. I can’t wait to try it out but boneless! I’m a little amazed at the tiny amount of Louisiana hot sauce there is, I live in Nashville and am used to much more in the mix. I do like Hattie B chicken ? 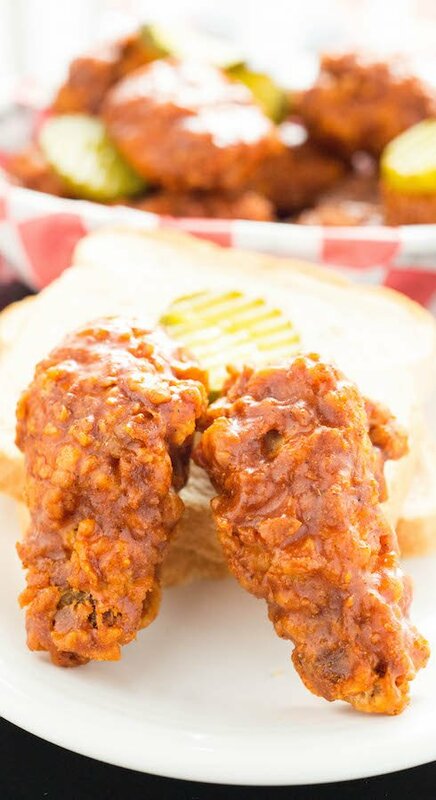 too among the other hot chicken eateries (it all started at Prince’s hot chicken years and years ago). Yes, we love Hattie B’s and Prince’s! Janette shot them both for a Food Network show a few years ago. Have you made it before and used more hot sauce? I have never felt it needed more, most of the heat comes from the spices anyways, but I’ve also never tried it. Curious what the difference would be. Ow wow…scrumptious looking chicken.. 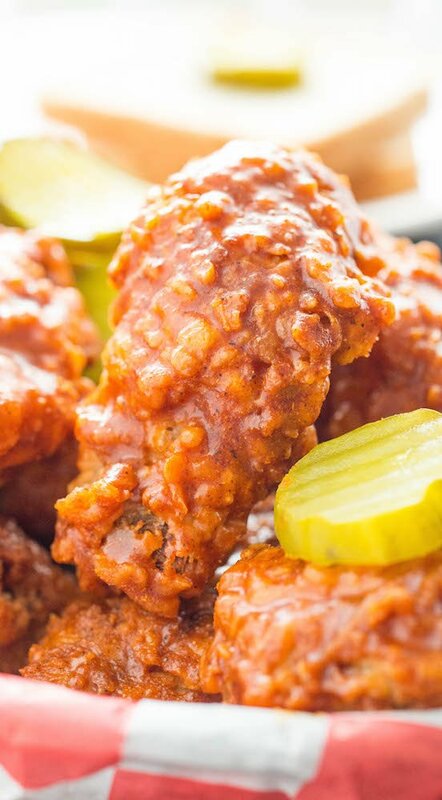 Always Love fried chicken in many ways especially spicy like this.
. This definitely will be my new menu. 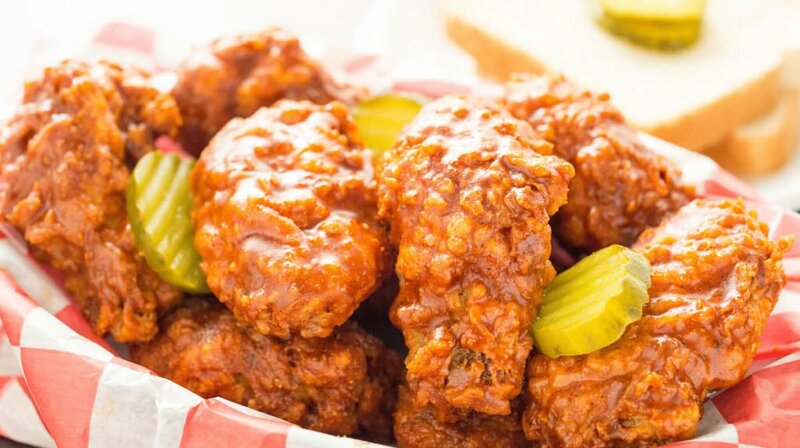 oh my Godness…İ love hot spicy meal and İ want that finger licking chicken wings now. The chicken wings looks double scrumptious with that sauce..
Great, cooked in air fryer!